Care for oily skin in the morning. Facial cleansing: Oily skin needs to be cleaned twice, even three times a day. Use a washed gel to remove the sebum. Many sebums create a good environment for developing bacteria that cause acne. Also suitable is the oily skin wash foam. The goal here is to reduce the production of sebum instead of turning the skin into paper. Sunscreen: Choose a sunscreen formula with zinc oxide. This type of products are ideal for women with oily skin. They keep from the sun and zinc oxide acts antibacterial and is ideal for people whose skin is prone to pimples. Face Cleaning: You can use the same product as this morning. Serum: Suitable oily skin sera are those containing alpha-hydroxy and beta-hydroxy acids. They struggle with big pores and imperfections on the skin. If you have a more serious problem with acnetic skin, let the serum be with tea tree oil and salicylic acid. Night Cream: For oily skin, it is important that the night cream does not contain oil so it can hydrate the skin without soaking it and allowing it to breathe. Once or twice a week: Use a clay mask. Apply to the skin and wash off before it is dry. 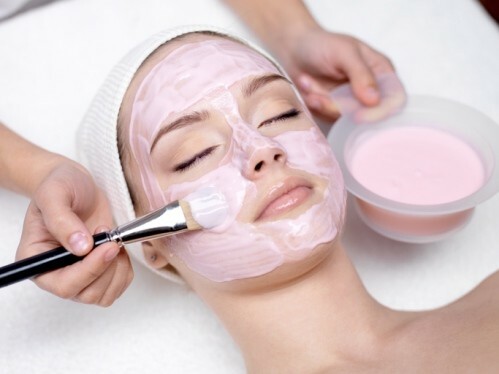 If you do not want to buy a clay mask, use some homemade recipe for mask with human. Care for sensitive skin. Facial skin Cleansing: In sensitive skin it is almost law to use cosmetics without sulphates. So make sure the face cleansing formula you use is suitable for sensitive skin. Tonic: If other types of skin can be compromised, the tonic is mandatory here without alcohol. Suitable products are beta-glucan, white tea extract, green tea and chamomile. Day Cream: It is good to use a day cream without fragrances. Trust products without artificial colors. All of these additional ingredients can cause irritation and allergic reactions.